CV. Multi Mas Sell Gearbox, is a mechanical device used to increase torque and reduce the speed or RPM of the motor. Serves to channel power or engine power to one of the other engine parts, so that the unit can move to produce a movement both rotation and shift. The gearbox is a special tool needed to adjust the power or torque (moment / power) of the rotating motor, and the gearbox also is a power converter device from a rotating motor to a larger power. CV. Multi Mas Sell Gearboxes of various types, built to withstand even the most challenging environments and our dedicated team of engineers will work on providing practical solutions and cost savings. Is an ideal platform for customized applications with various options for connecting various modules. The flexibility and variability of this motorcycle gearbox unit is hard to beat. Various modules for input and output sides are available. 5 sizes available in this series include a torsion range of 180 to 680 kNm. Application areas for this type of gear unit such as mining, crane construction, etc.Benefits of buying / selling gearboxes- Modifications can be easily done (benefits of price and delivery time)- Good thermal properties due to separate housing (especially stages 1, 2 and 3)- Delivery time approx. 10 to 12 weeks- Easy maintenance because the product can be separated into several parts- Worldwide servicesCV. Multi Mas was established in 1989. Our company specializes in supplying machinery, mechanical and spare parts of every kind of industry such as one selling motorcycle gearbox. Ready to provide solutions to your mechanical problems. Committed to provide the best quality from all over the world with very good price. Sell SEW Eurodrive GearboxThe helical gear unit of SEW EURODRIVE is helical wheel / helical-worm combination, making it more efficient than ordinary worm gear units. Due to its exceptional efficiency, these drives can be used in every industry sector and tailored to individual torque and speed requirements.Benefits:- Economic operation- Low noise- High allowable overhung loadsTechnical data:- Equipment outlet reduction ratio: [i] 6.80 to 288.00- Multi-stage gear unit reduction ratio: [i] 110 to 33818- Output torque: [Nm] 43 to 4,000- Motor power range: [kW] 0.12 to 22CV. Multi Mas was established in 1989. Our company specializes in supplying machinery, mechanical and spare parts of every kind of industry such as one selling SEW Eurodrive gearbox. Ready to provide solutions to your mechanical problems. Committed to provide the best quality from all over the world with very good price. Industrial gearbox is a closed system that transmits mechanical energy to the output device. Gearbox can modify speed, torque and other attributes to convert energy into a format that can be used. 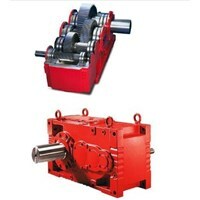 Gearbox is used in various devices, for various purposes. These machines can slow down the rate of rotation to increase torque and speed. The following will explain several different types of industrial gearboxes and how they are generally used. Helical gearboxes are low-power and compact-sized consumers. This equipment is used for various industrial applications, but usually in heavy duty operations. Helical gearboxes are popular in construction of plastics, cement, rubber, and other heavy industrial settings. This tool is useful in crushers, extruders, coolers, and conveyors, all of which are low-power applications. The helical gearbox is unique because it stays at an angle that, when moving, allows more teeth to interact in the same direction. This provides constant contact for a certain period of time. Helical gearbox extruders are used when torsion stiffness needs to be maximized and for low-noise applications. Extrusion gearboxes are used in the plastics industry and on machines that require high mechanical power. Coaxial helical gearbox is ideal for heavy duty applications. Inline coaxial helical is recorded for quality and efficiency. It is made with high level specifications, which allows you to maximize the load and transmission ratio. An important feature of this type of gearbox is a set of curved teeth located on a cone-shaped surface close to the edge of the unit. Angled helical gearboxes are used to provide rotational motion between non-parallel shafts. This is usually used in quarries, in the mining industry, and in conveyors. This angled tilt tilt gearbox is famous for its rigid and monolithic structure, which makes it usable in heavy loads and other applications. This industrial gearbox offers mechanical advantages after being installed on the correct motor shaft output. This is highly adjustable based on the number of teeth and teeth. Therefore, you can usually find one that suits your needs. 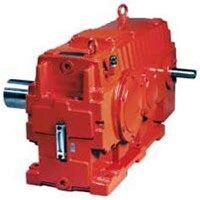 The worm reduction gearbox is used to drive heavy duty operations. Worm gearboxes are used when there is a need for increased speed reduction between non-intersecting cross-axis axes. 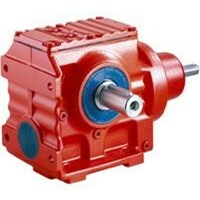 This type of industrial gearbox uses a worm wheel that has a large diameter. Worms, or screws, blend with the teeth in the peripheral area of ​​the gearbox. The worm's rotating motion causes the wheel to move together because of a screw-like motion. 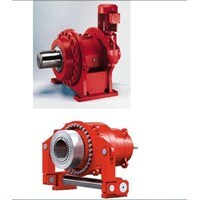 Most of these industrial gearboxes are used in heavy industries such as fertilizers, chemicals and minerals. The planetary gearbox is ideal for different durability, accuracy, and functionality for precision applications. 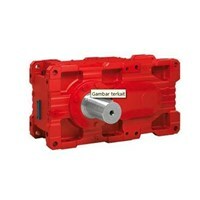 This type of gearbox increases the life of your equipment and optimizes performance. Planetary Gearboxes come in either a solid format or with a variety of mounting options including flange, shaft, or leg. At CV. Multi Mas, we work with our clients to ensure their industrial gearboxes continue to operate for the intended time period. We ensure that every unit we repair and repair leaves our facilities in almost new condition. If we see a possible cause of failure during the repair phase, we immediately notify the client. The result is that many of our industrial gearboxes perform better after they return and are less susceptible to further damage or problems.